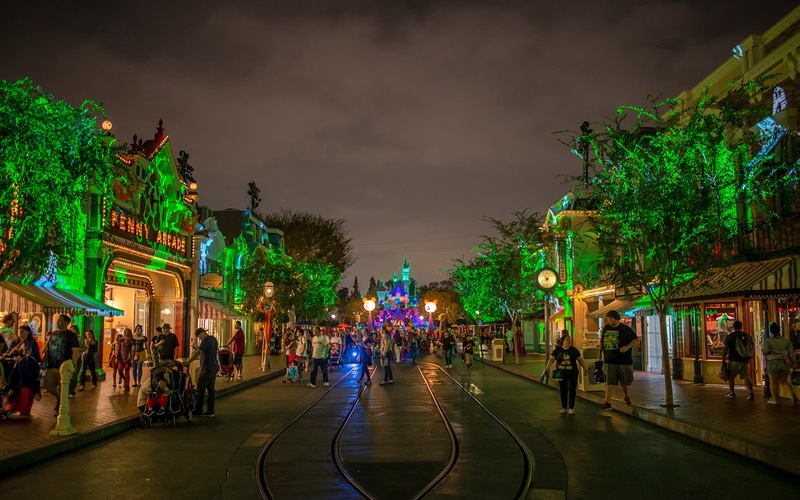 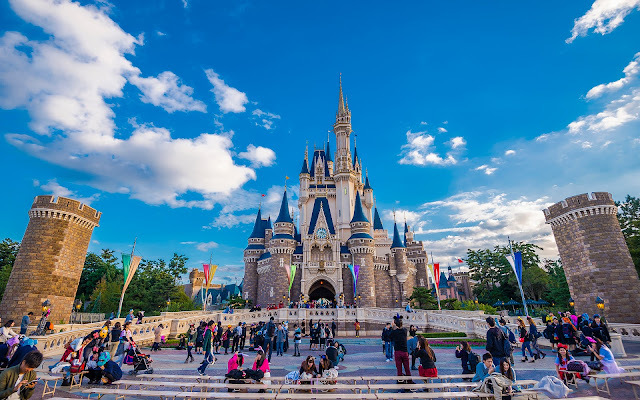 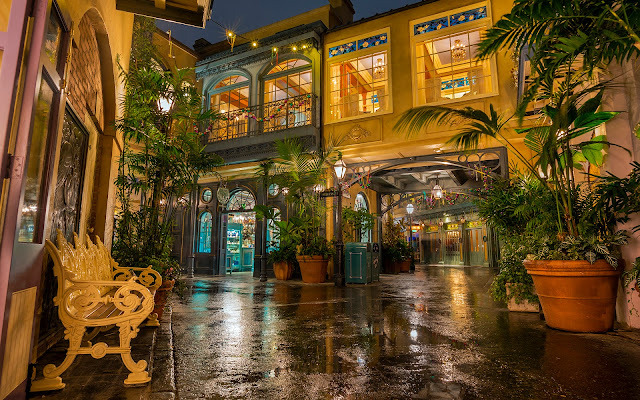 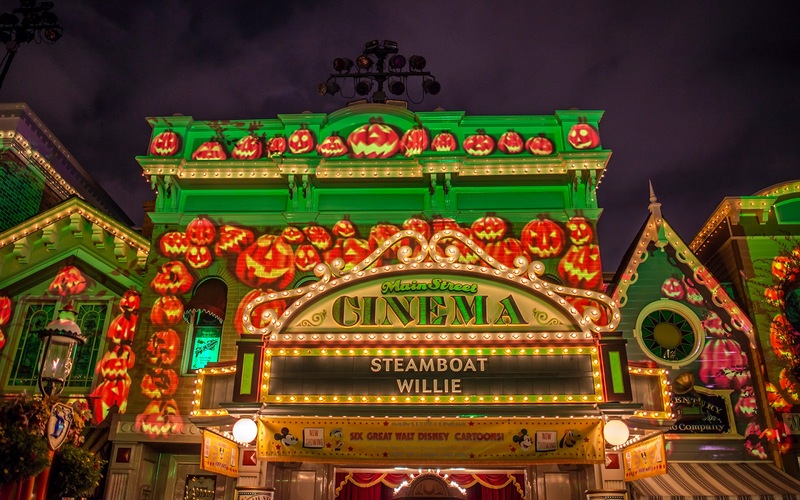 During Mickey's Halloween Party, Main Street goes green with energy of sinister forces. 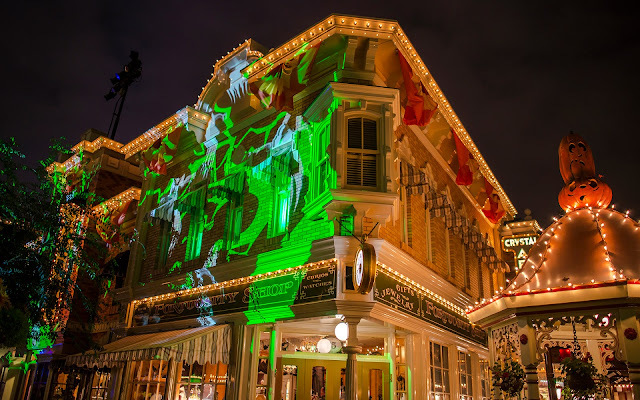 Okay, so it goes other colors too, but the green patterning is my favorite out of all the projection schemes displayed after the sun goes down on Main Street, U.S.A. Green is so rarely used for general lighting, and it looks uniquely spooky when paired with pumpkin oranges and regal purples. 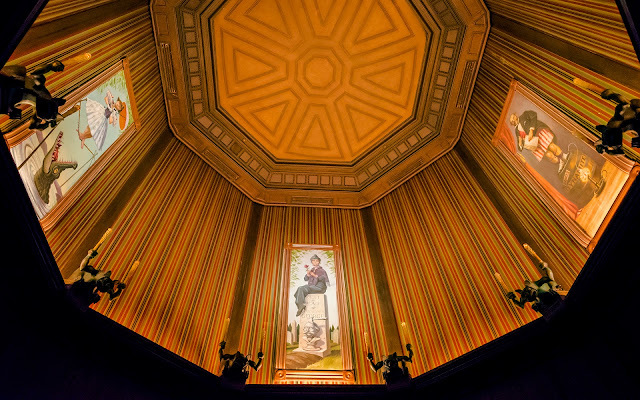 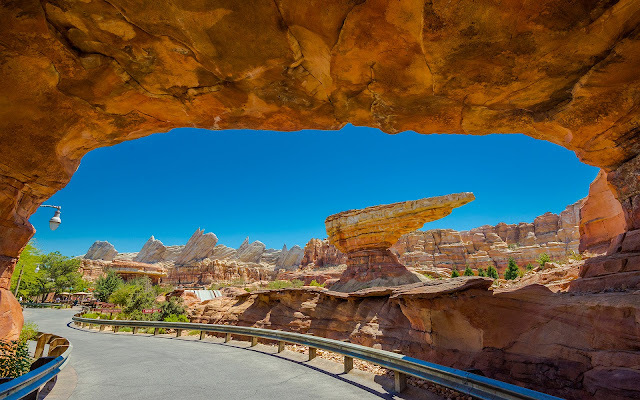 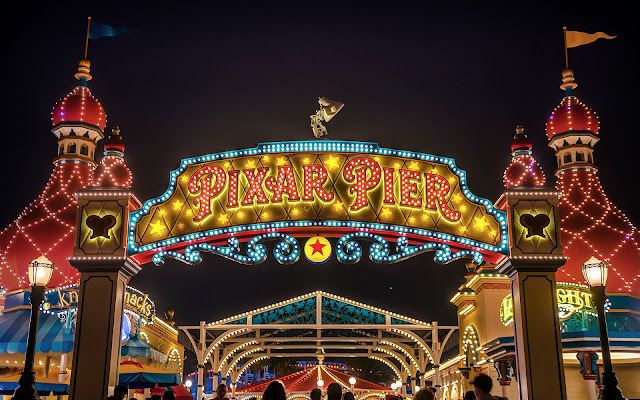 I love little touches like these projections, because they're an unadvertised bonus at an event that--while pricey--is pretty darn fun and offers a lot of unique sights not otherwise seen at Disneyland. Even during the daytime at the same time of year. 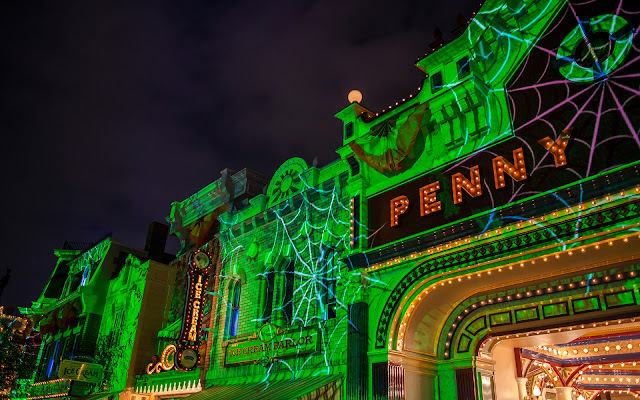 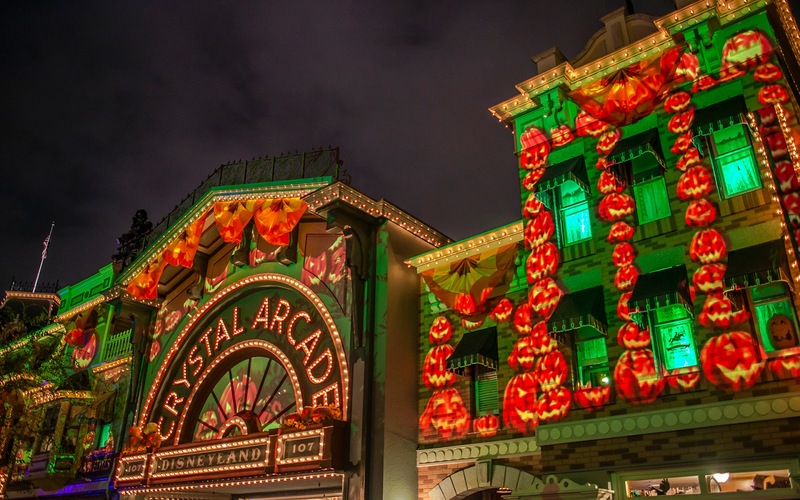 You could say the rest of the year is green with envy over the Halloween visual festivities!